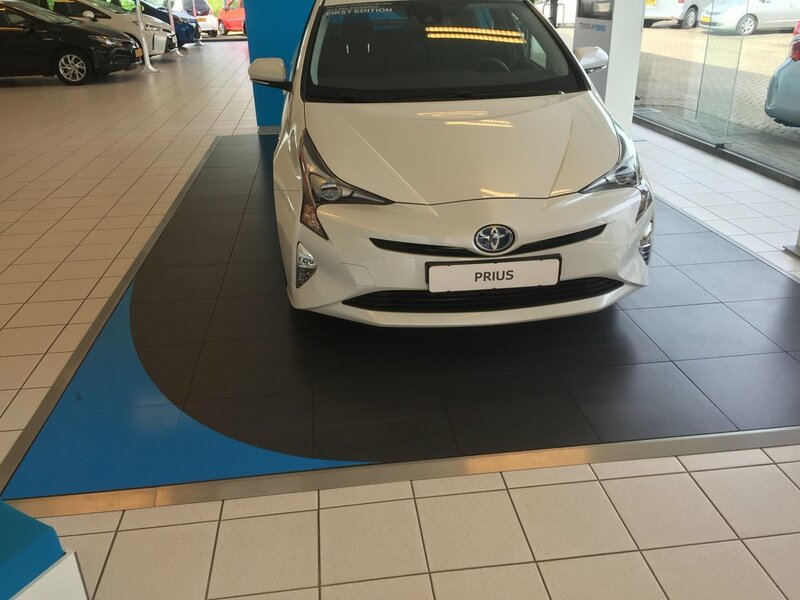 Commercial platforms with Versaflex dry lay tiles have been rolled out for the BENELUX car showrooms of Toyota. Looks great! At Versaflex Systems we understand the necessity of having the most optimal commercial surroundings for your business environment. Versaflex specialises in commercial porcelain dry lay floor applications. We can lay the groundwork for your business with a flexible tile system that allows quick installation, easy removal & replacing and quick changing of floor lay outs at low cost. Versaflex® is a worldwide patented dry lay click tile system with a technical porcelain (porcellanato) top surface which facilitates adhesive free sustainable floor installations. This system allows quick installation and easy removal & replacing of components, enabling flexibility to change floor layouts as and when required. Versaflex Systems is unique in its market. No other party can provide the same own controlled chain management of product development, production, sales, logistics and distribution. Versaflex Systems holds the worldwide patent of the Versaflex® tile with its unique vertical click system which allows quick & easy (de-)installation. Versaflex® is engineered for current and future use and all the new demands that will develop over time.